Nasimi District Court, under judge Babek Panahov, postponed the hearing of the complaint filed by the Chairman of the Muslim Union Movement Taleh Bagirzade. In his complaint, Bagirzade stated that he had been subjected to torture while in custody; was denied a meeting with his lawyer, was kept in the custody of the Interior Ministry’s Main Organized Crime Department (MOCD) for more than 24 hours; and that his rights under the Law on Ensuring the Rights and Liberties of Persons Held in Places of Detention had been violated. 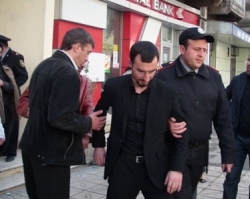 Taleh Bagirzade was arrested in a police operation in the Nardaran settlement of Baku on November 26, 2015. According to the Prosecutor General’s Office, 58 people have been arrested in connection with the Nardaran events. The Serious Crimes Investigation Department under the Prosecutor General’s Office has launched a criminal case. Those detained have been charged under articles 120 (deliberate homicide), 214 (terrorism), 220 (mass disorder), 228 (illegal acquisition, transfer, sale, storage, transportation or carrying of firearms, their accessories, ammunition and explosives), 233 (organization of actions promoting infringement of public order or active participation in such actions), 278 (violent seizure or maintenance of power), 283 (inciting national, racial, social or religious enmity) and 315 (resistance or violence against a representative of authority) of the Criminal Code.